ASSOCIATED PRESS/FILE 2010 Papuan activist Filep Karma. A MILITARY helicopter flew overhead, firing rounds, as a young protester named Tineke Rumakabu ran from soldiers. She was bringing food for her fellow citizens of the former Dutch colony of West Papua as they demanded independence from Indonesia on July 6, 1998. Captured by troops, she was blindfolded, handcuffed, and tossed onto a pile of moaning people in a truck that took her to a military compound. There, she was tortured, raped, and watched as her friend was beheaded with a bayonet. Rumakabu told her story this year before a Biak Massacre Citizens Tribunal organized by the University of Sydney. The tribunal cast fresh light on one of Asia’s worst — and least recognized — atrocities of recent decades. The United States had backed Indonesia’s takeover of West Papua in the 1960s, after which an American company helped start the world’s biggest gold mine and third-largest copper mine there. Many West Papuans have joined the struggle for independence since. Now, more than 15 years since the massacre in the city of Biak, the United States is turning a blind eye toward human rights abuses in West Papua as it strengthens ties to Indonesia’s military. Defense Secretary Chuck Hagel said in August that he welcomed “the progress Indonesia has made in improving transparency and the protection of human rights” as he signed a $500 million deal selling eight Apache attack helicopters. The sale, which is part of the US foreign policy “pivot” to Asia, went ahead despite the objections of some 90 human rights groups who argued that the aircraft could be used to further suppress the people of West Papua. US-supplied arms to Indonesia have been used in cracking down on resistance movements in West Papua and East Timor. The United States restored ties with Indonesian military in 2010 after cutting them in 1999 for Indonesian abuses in East Timor. It was strange to hear Hagel’s claim that human rights protection in Indonesia has improved, when those responsible for massacres in West Papua and East Timor enjoy impunity while members of unarmed resistance groups face arbitrary detention and killings. Armed rebels in West Papua do exist in the form of the Free Papua Movement army. However, Indonesia has been indiscriminate in suppressing any kind of resistance movements. A month before the sale of the Apaches, United Nations high commissioner Navi Pillay expressed serious concerns about the human rights situation in Indonesia after police reportedly shot and killed two protestors preparing to mark the 50th anniversary of the annexation of West Papua. By strengthening military ties, the United States is furthering a culture of impunity that fuels continuous human rights violations. Officers involved in abuses continue to rise in the ranks. Generals who were in command during alleged massacres are free to test their political ambitions. Former military chief Wiranto and former special forces unit chief Prabowo Subianto, both allegedly involved in abuses in East Timor and Papua, are running for Indonesia’s president in next year’s elections. The grievances of West Papuans are longstanding. They rightly regard the 1969 “Act of Free Choice” as a sham, when the Suharto regime selected around 1,000 Papuan representatives to unanimously vote to join Indonesia. Soon after, Arizona-based mining giant Freeport-McMoRan started its operations there. Through a subsidiary, the company pays Indonesian security forces, ostensibly to guard its mines, but in what amounts to protection money. Some academic researchers argue a “slow-motion genocide” is underway, with more than 100,000 West Papuans having been killed in armed clashes during the half-century of Indonesian rule. After the brutal 32-year reign of Suharto ended in May 1998, a wave of protests demanding a new referendum in West Papua followed. 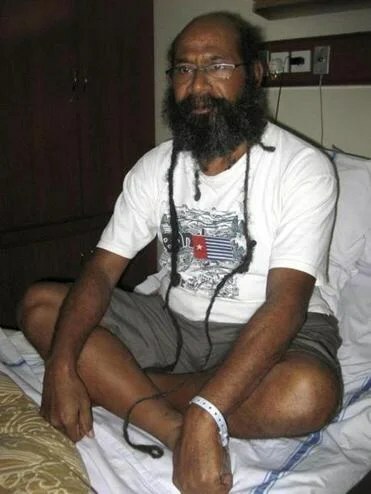 In Biak, Filep Karma, now a political prisoner and one of the nominees for the 2013 Nobel Peace Prize, rallied people to gather under the city’s water tower. The protesters occupied the water tower for several days before soldiers and police launched a joint attack. Karma was shot with rubber bullets in both his legs. The Biak Massacre Citizens Tribunal recently released its findings that the massacre was planned and executed by Indonesian security forces. Large numbers of people were tortured, raped, or killed, including a child in a school uniform. Bodies that were dumped into the sea kept getting caught in fishermen’s nets for days. The Indonesian government continues to deny any wrongdoing. The tribunal was an effort not only to document the atrocities, but to stop the cycle of impunity. It has collected enough evidence to prosecute those responsible. At the very least, the United States should call on Indonesia to properly investigate the case. The Obama administration should also reevaluate its military cooperation with Indonesia, making sure that arms and training for Indonesian troops are not used to harm civilians. A “pivot’ to Asia should not mean complicity in Indonesia’s human rights abuses. Prodita Sabarini, an Indonesian journalist, is the 2013-2014 IWMF Elizabeth Neuffer fellow at MIT.